There are many herbs and herbal compounds showing promise for pain management Atlanta. One of these is a little yellow spice commonly found in Indian food. 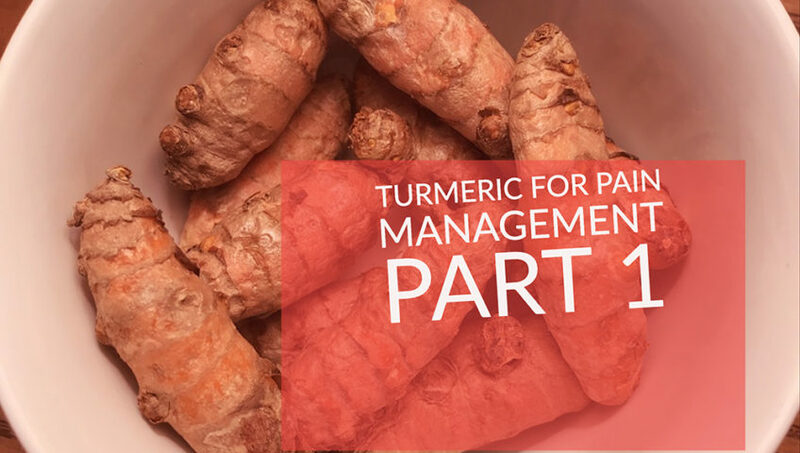 In our last article, we talked about 6 of the biggest benefits of Turmeric in alternative or holistic therapies for pain management. 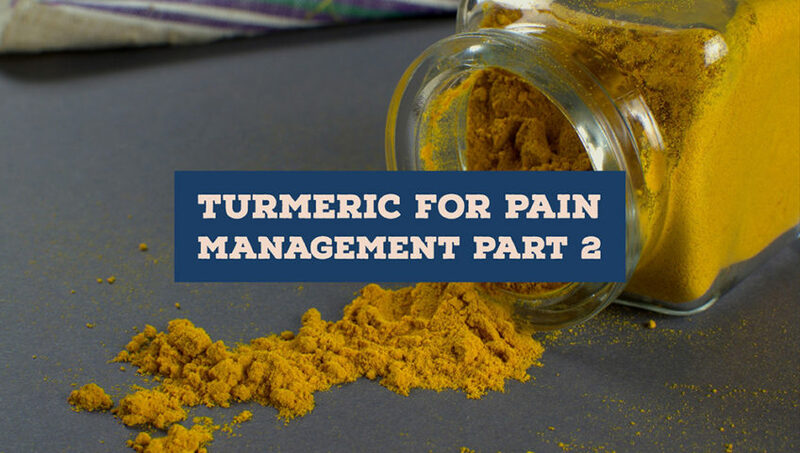 Maybe, with more doctors accepting alternative medical treatments – or complementary medical treatments for pain management – there will be the opportunity for the needed testing and proof to bring curcumin mainstream in the near future. There are many different types of cancer but they all have some things in common and those things are affected by curcumin. Researchers have been studying curcumin as a cancer treatment and have found it can effect growth, development, and spread at the molecular level. Studies have shown it can decrease new blood vessels in tumors, metastasis (spread of cancer), and even kill existing cancer cells. In test animals, studies have shown curcumin reduces cancerous cell growth and inhibit the growth of tumors. Whether these results can be replicated in humans has not yet been studied enough. Yet, there is some evidence it prevents cancer in the first place (especially cancers of the digestive system like colon cancer). Perhaps Curcumin may one day be used in conjunction with conventional cancer therapies? The initial studies are promising. Curcumin may prevent – or treat – Alzheimer’s Disease. Alzheimer’s is the most common neurodegenerative disease in the world and the #1 cause of dementia. So far, there has been no real treatment for Alzheimer’s. This makes preventing it, a priority. Curcumin has been demonstrated to cross the blood-brain barrier. This is hopeful because it means it could stop the inflammatory and oxidative changes in the brain that breed Alzheimer’s, in their tracks. Similarly, another factor in the development of Alzheimer’s is the growth of protein tangles called Amyloid plaques. Studies show curcumin may help clear these plaques. While nothing regarding curcumin and Alzheimer’s is yet concrete, it does show promise as a potential answer to this crazy disease. Curcumin is great for arthritis – a common source of pain for many people. One thing that causes many people to seek pain management – and/or become dependent on pain management medications – is arthritis. Arthritis can be very painful and debilitating. Most types of arthritis involve inflammation of the joints. As we have covered, curcumin definitely decreases inflammation and possibly, better than current medications. Therefore, it can be deduced that it would be effective at treating arthritis and thereby, reducing arthritic pain. *Recent studies even show curcumin is extremely potent against rheumatoid arthritis – a disease that causes tremendous pain for the sufferer and that only powerful drugs help. In a controlled trial, 60 patients were divided into 3 groups. One group took Prozac, one took 1g of curcumin, and another took both. After six weeks, the curcumin and Prozac groups were nearly the same in terms of effect on depression and the group that received both was doing the best. Again, this is thought to be because curcumin increases brain-derived neurotropic factor. As such, some studies also suggest it would then increase serotonin and dopamine – natural fighters against depression. Subsequently, this would help with pain management since these feel-good hormones help people with their own natural pain fighting ability. In summary, turmeric / curcumin shows great potential for preventing, treating, and fighting some of the most pervasive, degenerative, and deadly diseases and health issues we face. While much more testing probably needs to be done before turmeric will replace modern pharmaceuticals, it likely has a place in complementary medical treatment since it is basically side-effect free. Turmeric is quickly becoming known as a magical, mystical, miracle cure – or at least treatment – for many common illnesses and conditions. It’s also starting to be regarded as a holistic pain management treatment too. Turmeric is actually one of the most widely researched and documented herbal treatments we have available today. It has been used in Eastern medicine for over 1,000 years and Western doctors are now recognizing its efficacy as well. To date, the medicinal properties and components or turmeric have been the subject of over 5600 peer reviews and published medical studies. 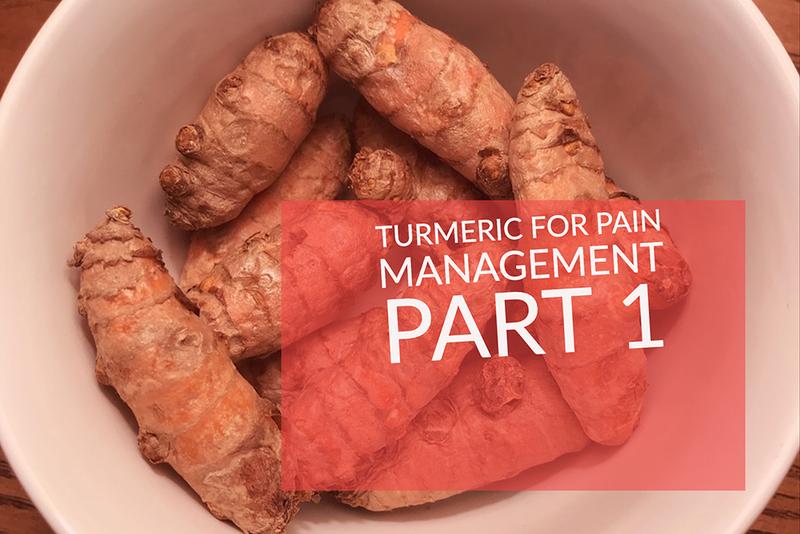 The conclusion being turmeric is equitable to many common drugs for treating inflammation, mental and brain disorders, high cholesterol, high blood pressure, and pain. It’s even been shown to possibly treat – or even prevent – cancer and Alzheimer’s. The active ingredient in turmeric – what makes it work so well – is curcumin. However, there is so little curcumin in turmeric that you must take an extract to get about the 1g you need. Additionally, in order to be effective, turmeric / curcumin must be taken with black pepper, or piperine. It increases the absorption of turmeric by 2000%. This can either be included with your Turmeric supplement OR you can take it with a handful of peppercorns. Turmeric / Curcumin helps to control inflammation and possibly, reduce pain. Turmeric helps the body fight foreign invaders that cause inflammation and has a part in repairing damage already done as well. To a certain extent, inflammation is good. It helps the body fight off bacteria and illnesses. The problem comes in when inflammation becomes long-lasting, or chronic and the body turns on itself. In fact, inflammation is now thought to be at the root of most Western medical issues. Turmeric / curcumin’s effectiveness against inflammation is one major reason it’s so great. In fact, some studies have found it to be as strong against inflammation as over the counter medications. 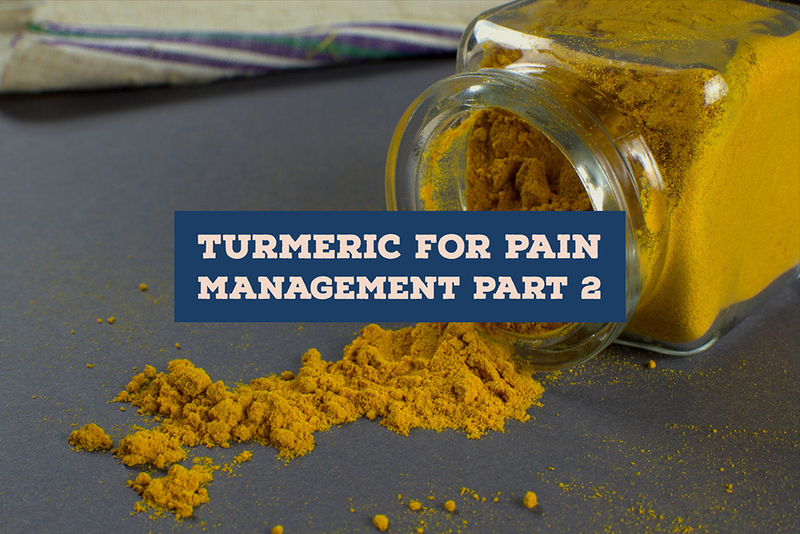 This can mean turmeric / curcumin may be a good pain management option, especially since it has no side effects. Turmeric / curcumin increases the body’s antioxidant capacity. “Oxidative damage” is thought to be one of the main agents behind aging and disease. This type of damage occurs when free radicals interact with organic substances such as fatty acids, proteins, or DNA. Antioxidants protect our body from these free radicals. Curcumin can actually neutralize free radicals due to its chemical structure. But that’s not all. Curcumin even prompts the body to create more of its own antioxidants too. Antioxidants too, reduce inflammation – yet another possible pain relief mechanism. Curcumin increases brain-derived neurotropic factor, improving brain function and lowering the risk of brain disease. Until recently, it was thought brain pathways could not repair or regenerate after childhood. Now it’s known this is false. The neurons can not only form new connections, they can multiply. One of the main drivers of this process is Brain-Derived Neurotrophic Factor, a growth hormone that functions in the brain. Many brain disorders – such as depression and even, Alzheimer’s – have been linked to a decrease in this hormone. Since curcumin increases BDNF, it can be extrapolated it may be effective at reversing brain diseases and age-related decreases in brain function. Curcumin improves various factors that should reduce the chance of heart disease. Heart disease is the #1 killer of adults in the world. Curcumin improves the function of endothelium, the lining of the blood vessels. Endothelial dysfunction is a strong predictor of heart disease because it prevents regulation of blood pressure, proper blood clotting, and other problems. One study shows curcumin as effective as exercise at treating endothelial dysfunction, while another shows it as good as the drug Atorvastatin. But remember curcumin is also a great anti-inflammatory and antioxidant too. In yet another study, patients were given either a placebo or Turmeric before open heart surgery. The group that received turmeric had a 65% decreased risk of heart attack. Again, Holy Basil’s medicinal properties have actually been pretty well studied over time. Its most important benefit being that it does balance cortisol levels and increase physical and emotional endurance. This gives you greater resilience to all stresses. Interestingly, it can also lower blood sugar and that combined with the mood stabilization, often facilitates weight loss too. In a recent randomized, double-bling, placebo-controlled study, researchers studied Holy Basil extract in the treatment of general stress. Participants given the herb, showed a 39% improvement in stress over those given a placebo. It was also found to reduce the incidences and intensity of forgetfulness and helped fatigue and sleep problems. Holy Basil has also been shown to improve exercise endurance and a 2012 study showed that after 2 weeks of supplementation (dose: 300mg/kg/day), it protected muscles from exercise injury, reduced lactic acid, and extended exercise time before exhaustion. As a powerful antioxidant, it may also slow brain degeneration and improve memory and cognition. It may even be beneficial for Alzheimer’s. Holy Basil has been found to be very safe for short and long-term use but it’s not recommended for women who are pregnant or breast feeding. It may also act as a male contraceptive in high doses but this seems to be reversible upon discontinuation. Please consult your health care provider, or contact us for an appointment, before making any healthcare decisions or for guidance about a specific medical condition. Dr. Parimi and this website expressly disclaims responsibility, and shall have no liability, for any damages, loss, injury, or liability whatsoever suffered as a result of your reliance on the information contained in this site. Dr. Parimi and this website do not endorse specifically any test, treatment, or procedure mentioned on the site. By visiting this site you agree to the foregoing terms and conditions, which may from time to time be changed or supplemented by Dr. Parimi and this website. If you do not agree to the foregoing terms and conditions, you should not use and/or read this site. When you are seeking pain management Atlanta, a good pain management physician should always be your partner in getting you to the point where your pain is tolerable and/or alleviated. Today, doctors are seeing more and more patients with symptoms and diseases that seem to be directly – or at least indirectly – related to stress and/or anxiety in some way. A working label some are using for these ‘syndromes’ is adrenal fatigue (depletion / exhaustion / burn out of the adrenal gland due to stress and overwork, etc.). Not at doctors agree that adrenal fatigue is a real ‘disease’ but some do lump together stress-related conditions under this name. Sometimes, many good and qualified Atlanta pain management doctors have a tough time overcoming stereotypes regarding Atlanta pain management clinics and pain management physicians in the Atlanta area. Sometimes, pain management doctors are accused of being pill-pushers. Or of overusing medication to treat the symptoms of disease and illness—even those related to stress, rather than trying to alleviate the cause…stress itself. Yet, we aren’t all like that. Good pain management specialists, especially, are starting to trend toward a more holistic or comprehensive approach to treating chronic illnesses. Part of this shift includes looking at natural or homeopathic solutions to problems as a first – or additional – line of defense. Obviously, if we can help you treat the root cause of your symptoms, we can likely alleviate those symptoms more permanently. Yes, that may mean we lose you as a patient. But trust me, there will not ever be a shortage of patients to treat. For every one we might help ‘heal’, there are others ready and waiting to fill that void. Particularly if we can build a reputation as a ‘healer’ and not just that pill pusher, we will likely find we never have an empty office. 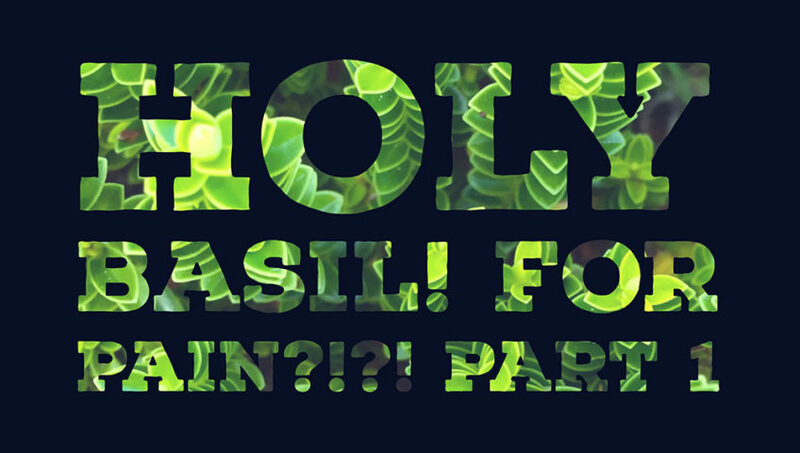 To that end, Holy Basil is an herb that shows great promise for balancing cortisol. This thereby decreases stress—and thus, stress-related illnesses and symptoms that may contribute to pain. Holy Basil has been used medicinally in India for over 3,000 years and there is known as the “Queen of Herbs”. 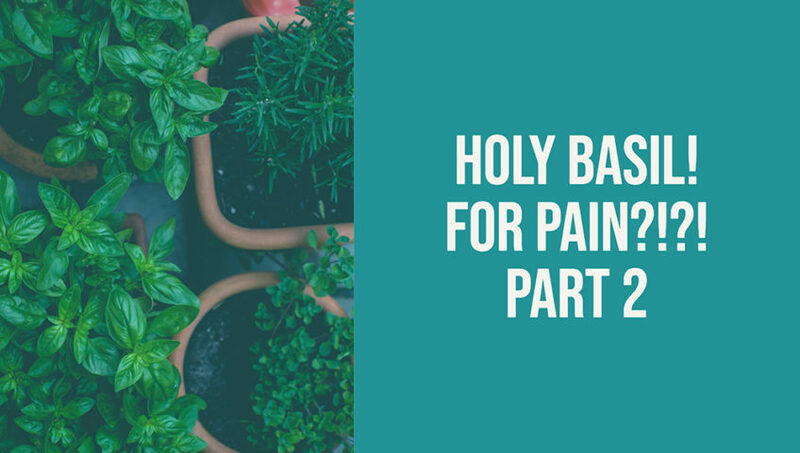 Be sure to stay tuned for Part 2 – where we will continue to talk about how Holy Basil might improve health and even pain management! Looking for convenient, yet effective, pain management Atlanta? When you need an Atlanta pain doctor who is educated and available, a concierge pain management physician may be the best answer for you. Concierge medicine is becoming more and more popular these days. Also called “Direct Medicine” it’s not really a new phenomenon…. it’s just becoming more accessible to the masses instead of only the wealthy or elite. For the last decade or so, a concierge doctor – or “retained physician” – catered to the super-rich. A high retainer was charged in exchange for being at the beck and call of the doctor’s clientele, which was usually kept to pretty low numbers. There are stories of doctors being paid $50,000 retainers for a single individual, PER MONTH – whether they used the doctor’s services that month or not. Of course, this type of practice could be exhausting if the physician did have a month where all his or her clients decided to take full advantage of their retainer. More often than not, however, these types of doctors made a lot of money on these retainers, had a ton of freedom (because less clients were needed), and often still billed insurance for the “meat” of the visit. A very popular show that’s been on television for about the last six years – “Royal Pains” – centers on this kind of concierge medicine and portrays the glamour that typically went along with this type of concierge medicine practice. Today, there are large numbers of doctors using a slightly different concierge model. These doctors often cater to a broader range of patients and the retainers are much smaller (or non-existent). If you need an Atlanta pain doctor or pain management Atlanta, a concierge doctor using this type of model may be a great option. These “new style” concierge medicine practices will typically have a menu for services and only accept direct payment, not billing insurance at all and often, don’t even offer that option. However, by eliminating insurance filings, eliminating the need to collect copays and then re-bill the patient when the insurance doesn’t cover what was expected, and not having to deal with delinquent accounts, the concierge physician and/or practice is able to keep overhead low and thus, prices affordable. Furthermore, this usually also means they don’t need to see as many patients. This means when you need an Atlanta pain doctor or pain management Atlanta, you can usually see a concierge doctor quickly—even the same day if necessary. For chronic pain patients, you can also often get a recurring appointment, on the same day every month, with no wait. Think a concierge practice might be right for your pain management Atlanta? Then, please reach out to Dr. Parimi, Atlanta pain doctor and concierge pain management physician in Marietta, GA today! Chronic pain is no fun. Chronic pain management is a specialty area of practice that centers on assisting people who have ongoing, often insurable, issues with pain or disease. Most chronic pain management is multidisciplinary—meaning your treatment plan will often come with multiple angles and quite possibly, multiple physicians and/or a physician and/or counselor. This way, hopefully, a complete plan can be created that addresses all aspects of your pain and pain issues. Doctors who specialize in pain management also specialize in appropriate use of pain medications. They can help you to choose the proper pain medicine for your disease or illness while minimizing the addictive effects that some medications bring to the table. A skilled pain management doctor will also have a variety of other treatments they incorporate as well, including biofeedback, nerve stimulation, etc. A good relationship with a good pain doctor can often go a long way to helping you regain your quality of life. What does a pain management specialist do exactly? A pain management specialist is a physician who has special education on treating pain and chronic pain condition. This can be comprised of acute pain (an accident; injury), chronic pain (diseases / chronic illnesses that cause pain), cancer, or a combination. Pain can also be a result of surgery, weight issues or lifestyle. Sometimes, pain will go away by itself. Other times, a physician’s intervention is needed. What should I look for in a pain management specialist? First, you need to look for someone who truly specializes in the practice of pain management and understands the risks and responsibility that goes along with treating someone with chronic pain. Then, you need to be sure the doctor’s personality meshes well with your own. Your doctor should also be invested in and willing to working with any additional professionals who can help to magnify the positive results of your treatment. Make sure to ask if your new doctor has real training or specialization in pain management, check to see what their reputation is in this area (local and online reputation) and how many patients they treat or have treated with your specific issue. No one should have to deal with pain. But there are a lot of considerations to treating pain, not the least of which is the widespread problem of addiction to – or abuse of – pain medications. Your pain management specialist will be knowledgeable in proper use of medications, as well as other means – possibly incorporating counseling or mood therapy – of treating pain. They will also be specifically trained in pain management and willing to address a multidisciplinary approach. If you are able to find all of these qualities in a pain management physician or practice, then you will be well on your way to living a life free of pain or at the very least, much less painful. Dealing with Chronic Back Pain? But first… you need to know some surprising causes of back pain that you can potentially eliminate for good. If you’ve ever had a bout of back pain, you’re not alone: According to the National Institutes of Health, eight out of 10 people will suffer from back pain at some point in their lives. Most of the time, back pain is set off by something totally minor, says Venu Akuthota, MD, director of the Spine Center at the University of Colorado Hospital in Aurora, Colorado. Besides obvious causes (constantly lugging a too-heavy purse, for instance), experts say that everyday habits like hunching over your smartphone can strain your spine and the surrounding muscles over time, causing pain and making you more vulnerable to serious injury. To stop back pain now—and avoid future agony—try targeting these unexpected culprits. Even an expensive, ergonomic chair can be bad for your back if you sit in it all day without a break. Sitting not only lessens blood flow to the discs that cushion your spine (wearing them out and stressing your back), but it puts 30 percent more pressure on the spine than standing or walking, says New York City chiropractor Todd Sinett, author of The Truth About Back Pain. Be sure to stretch at your desk and get up every hour to walk around. Don’t assume that built-in lumbar support makes your chair back-friendly—in fact, for many people, lumbar supports don’t make a bit of difference, especially if they aren’t positioned properly (at the base of your spine), says Heidi Prather, a physical-medicine and rehabilitation specialist and associate professor of orthopedic surgery and neurology at the Washington University School of Medicine in St. Louis. No matter what type of chair you sit in, make sure your head is straight (not tilted down) when you’re typing or reading. Avoid slouching and adjust your seat so it tilts back slightly to help alleviate some of the load on your back, Sinett says. And keep your feet planted firmly on the floor. When you strut in stilettos, your foot strikes the ground in a toe-forward motion rather than the normal heel-toe gait, stressing your knees, hips, and back, Sinett explains. “Wearing heels also alters the angle of your body so your weight isn’t evenly distributed over the spine,” he says. This instability can set you up for pain and injury radiating from your knees all the way to your back. Mobile technology has not been kind to our backs and necks, Prather says. “We’re hovering over laptops, iPads, and smartphones all the time,” she notes. “This head-down position strains the muscles in the neck, and the pain can extend all the way down your spine to your lower back.” Take frequent breaks, and try to look straight ahead—rather than down—while using a laptop, tablet, or phone. You can buy a stand to help hold your laptop or tablet at a more back-friendly height and angle. And if weight gain is your problem, consider making whole grains an essential part of your slim-down plan: A new study from Tufts University found that those who ate three or more servings of whole grains a day had 10 percent less abdominal fat compared with those who ate essentially no whole grains. Large-breasted women obviously carry significantly more weight in front than those who have smaller breasts. This can lead to hunching and sore neck and back muscles, Sinett says. A bra that offers proper support can actually minimize that forward hunch and relieve pain, while one that doesn’t may exacerbate the problem, as you hunch or strain even more to compensate for uncomfortable straps or a riding-up band. Research shows that many women wear the wrong size bra, but the right fit can mean the difference between sagging and supported; get fitted by a bra professional. Prather says you may want to try a T-back (a.k.a. racer-back) style. “It gives the body a cue to pull the shoulders back,” she says. Just like the rest of you, your back muscles can tense up when you’re frazzled. Muscles are designed to contract and relax, Sinett explains, but when you’re stressed, they may contract so much that they can eventually start to spasm. Stress also boosts production of the hormone cortisol, which increases inflammation and can lead to achiness, he says. On top of that, “Chronic stress can affect the way a person perceives pain,” says Alan Hilibrand, MD, spokesman for the American Academy of Orthopaedic Surgeons and professor of orthopaedic and neurological surgery at Jefferson Medical College in Philadelphia. “So those who are stressed will often have a harder time managing back pain than those who aren’t.” Lower-impact aerobic exercise (think walking or working out on an elliptical trainer) may help relieve back pain and ease stress—so you can beat the pain for good.